HyperX CloudX gaming headset is an official Xbox licensed headset that comes with detachable noise-cancellation microphone. HyperX has launched its Official Xbox licensed Gaming Headset, the HyperX CloudX, in India for Rs 9,990. The headset is approved by Microsoft and comes with in-line audio controls that sidestep system menus and put control directly at your fingertips. The sturdy aluminium frame is designed for long-lasting reliability and to withstand the harsh rigours of daily gaming life. 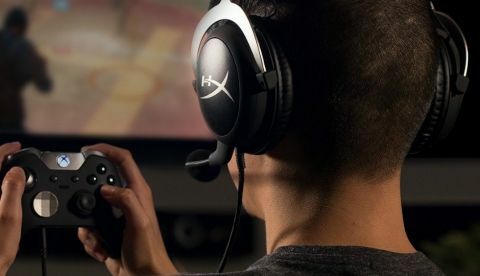 HyperX CloudX Gaming Headset has been tested and approved by Microsoft and delivers signature HyperX comfort, durability and amazing sound for serious Xbox gamers. CloudX has convenient in-line audio controls that sidestep system menus and put control directly at your fingertips. The sturdy aluminium frame is designed for long-lasting reliability and to withstand the harsh rigours of daily gaming life. The 100% memory foam ear cushions and leatherette-padded headband provide award-winning comfort for those long weekends and late nights of gaming. 53mm drivers and enhanced bass reproduction pump out crystal-clear high, mids and lows, and the closed-cup design mutes the outside world to completely immerse you in your game. The noise-cancelling microphone can be positioned just the way you like it, and also eliminates background noise so that you’ll come across loud and clear. CloudX is also compatible with mobile devices1. When you’re ready to listen to music, simply unplug the microphone and stow it for later. 1 Compatible with devices with CTIA standard connectors.